Home Inspiration	Boutonnieres – Styles for Men! A boutonniere is a floral decoration worn by men, and while they were once worn more frequently, they are now reserved for special occasions, like weddings and proms. The word boutonniere comes from the French word buttonhole, since they were worn by placing a flower through the lapel buttonhole and the stem was held in place by a loop at the back of the lapel. However, many suits made today do not have the required loop, and/or the buttonhole has not been cut open, so the boutonniere must be pinned on. It should be placed either diagonally or straight on the lapel, about 4 inches down from the tip of the left shoulder. Boutonnieres are normally composed of a single bloom or a small cluster of flowers. Some of the more traditional flowers worn were white carnations, red roses, and blue cornflowers, but now you see boutonnieres in all kinds of styles. From traditional to rugged, here are some of my favorites! I love the combination of the billy balls with the succulent, and wrapping it in twine gives it a very manly feel! This bout is great for an outdoors-man and nature lover (it’s Eco-friendly! ), or a modern man who wants something different! A simple boutonniere of two dendrobium orchids is perfect for a beach or tropical destination wedding! And I just love the pop of color against his white shirt! 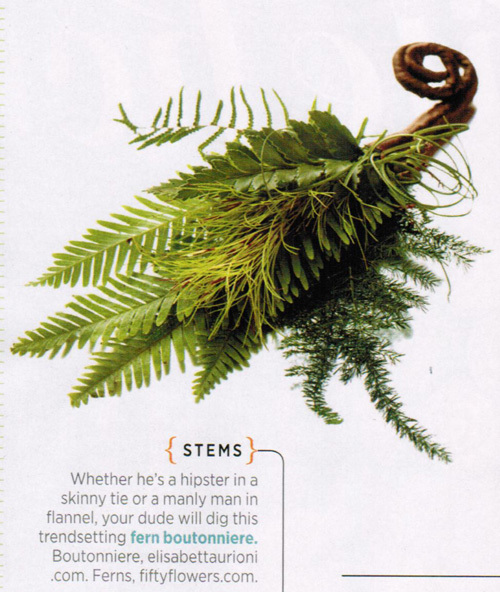 This favorite was featured in Brides magazine, “Whether he’s a hipster in a skinny tie or a manly man in flannel, your dude will dig this trendsetting fern boutonniere.” Agreed! A simple cluster of greens or ferns can fit any look and match any color. The anemone boutonniere puts a modern flare on a classic style. Hypericum berries add some texture and greens. 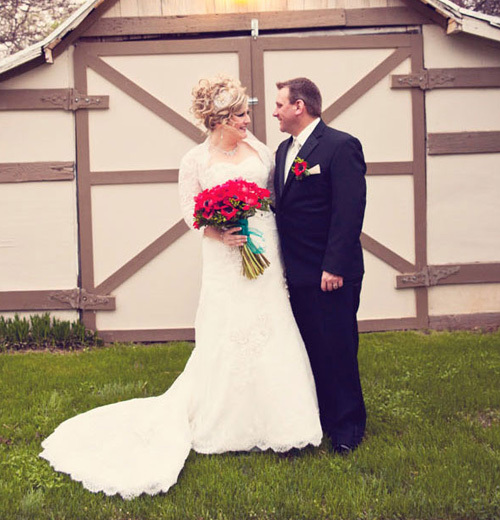 Want a clean and classic look, but over the rose boutonniere? Try a single calla lily! Modern yet timeless, mini callas come in a variety of colors to fit your palette and look great on their own or mixed with other flowers and/or greens! 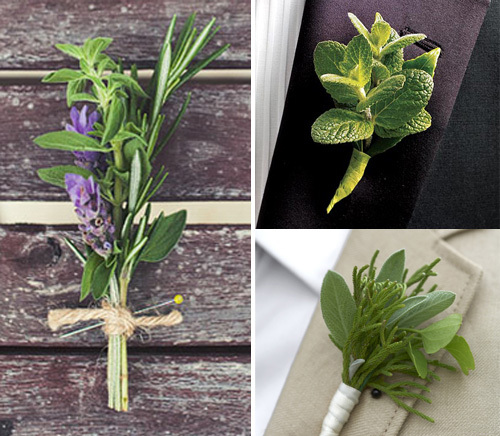 Similar to the greens or fern boutonniere, a herb boutonniere is versatile as it can fit any look and match any color. Best of all they can be plucked straight from your garden, and they smell amazing! Try lavender, sage, mint, or rosemary, just to name a few. 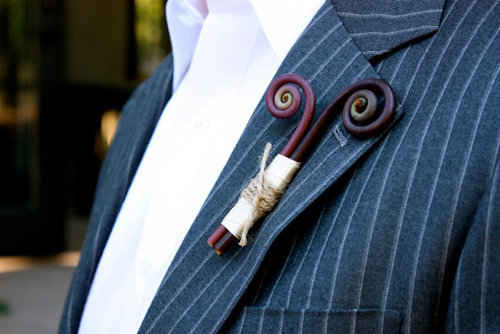 Last but not least is the fiddlehead fern boutonniere. Modern and unique, fiddleheads look great alone or mixed with other flowers and greens, such as callas, ferns, billy balls, and ranunculus. 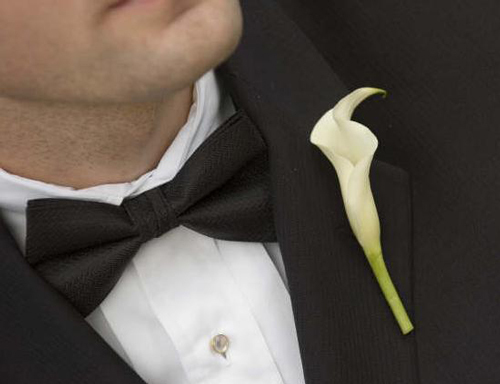 All the important male figures in a wedding should wear a boutonniere to distinguish them from the rest of the guests. The groom and groomsmen should carry one as well as fathers, grandfathers, stepfathers, readers, ushers and the ring bearer. 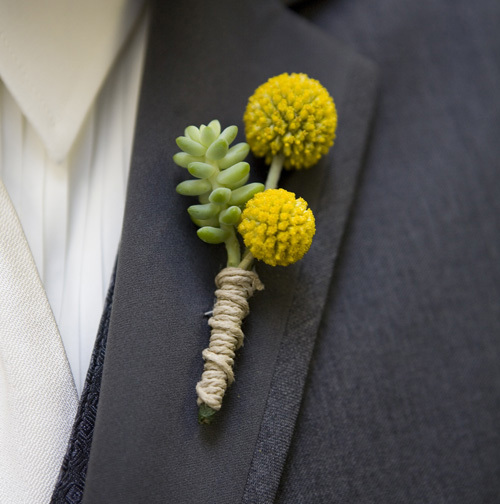 The groom’s boutonniere should be unique and different from his wedding party, and most of the time the flower used will be the same as the bride’s bouquet, but it should also compliment the rest of the grooms attire. Tantalizing Tropical Flowers at 10 Percent OFF!